For a virtual tour of Caribbean Rollerama including the street entrance, kiosk, skate hire, party room and skating rink click here! Night Skating is also a big attraction at Caribbean Rollerama as we are open late on Friday and Saturday nights. Here at Caribbean Rollerama we have our own party room, which makes catering for kids birthdays extra special. You can enter Caribbean Rollerama at 1298 Ferntree Gully Road, Scoresby, VIC. We are just off Eastlink and have plenty of car parking available. 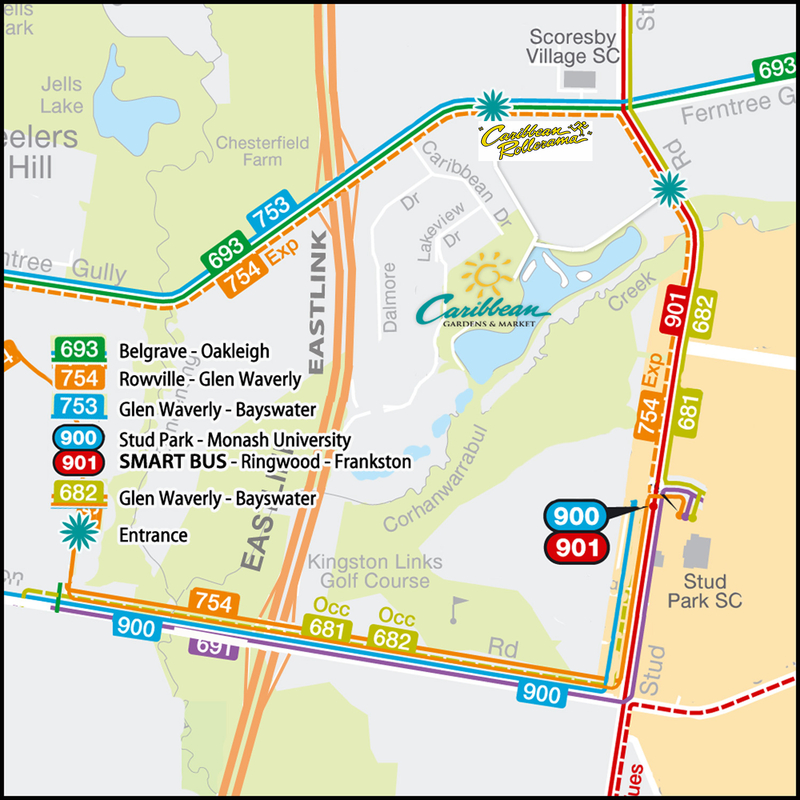 CATCH THE CITY TO GLEN WAVERLEY TRAIN AND JUMP ON A BUS!